Justin (as in Bieber) comes to us from Fiacre Dalmatians in Reno, NV. His mother AKC GrCh/UKC Ch Fiacre's Seeing Is Believing was the first NUA AKC champion, finishing in 5 shows with 4 majors - 2 under breeder/judges. 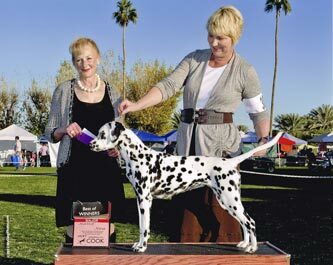 Justin helped his sire, GCh CT Blackthorn's Coreopsis of Patch MT BN RE OA OAJ NF RD win the stud dog class at the 2013 Dalmatian Club of America National Specialty. Justin has dark, dark eyes, level topline, wonderful bone and substance with beautiful cat feet. 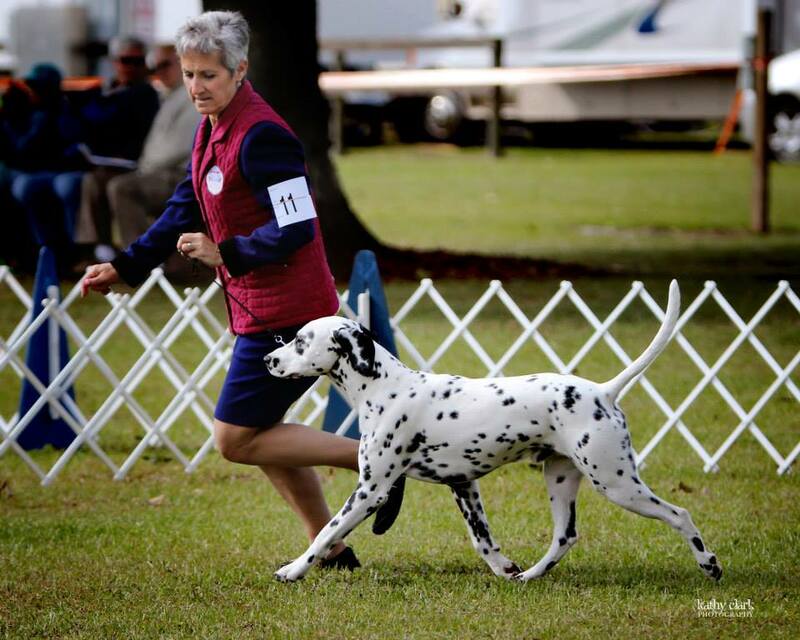 Justin completed his AKC Championship in just five show weekends and is halfway to his UKC Grand Championship. Justin finished 2014 as the #1 Dalmatian in UKC showing. 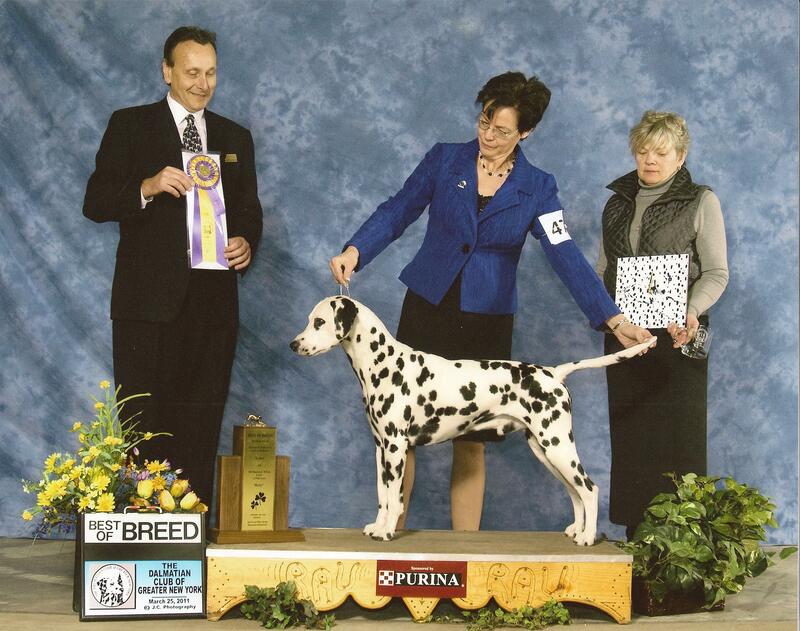 Justin was bred to UKC Ch Woodwynd Dixie On My Mind with pups born on January 14, 2013. Eight healthy black spotted pups - five girls and three boys. Three of these kids are doing well in the show ring including major points from the puppy class, a Best in Match and a Best Puppy in Show winner. Justin's plans for 2015 including a litter with U-CA AKC/UKC Ch Woodwynd Notorious Nineteen CA and completing both his AKC and UKC Grand Champion titles.